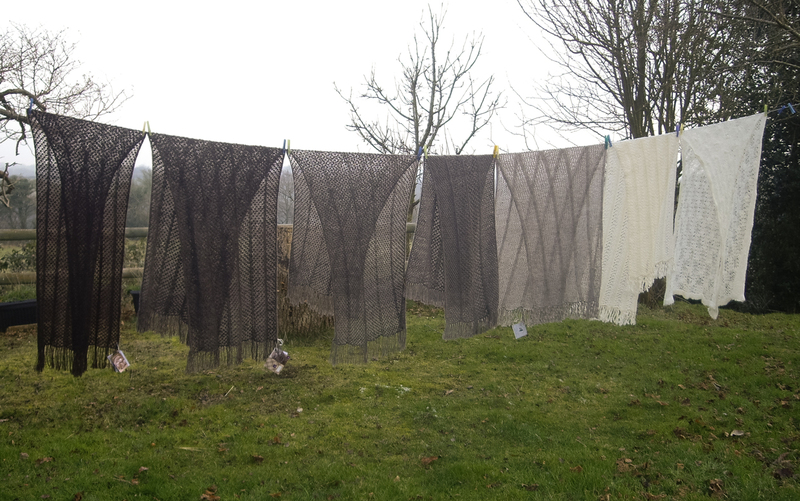 Continuing yesterday’s theme on tracing garment production from sheep to shawl or – as Sally put it – from back to back, I wanted to share an article I wrote several years ago about Julia Desch. 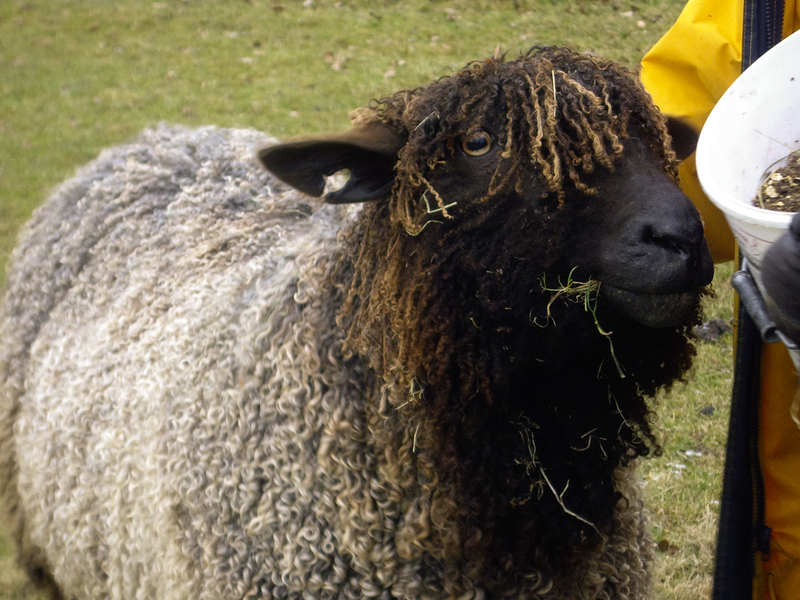 I met Julia when I stayed on her farm and encountered her beautiful flock and The Wool Room. Julia explained all the stages involved in producing her special Wensleydale products and many of our conversations about growing wool, Wensleydale sheep, processing wool and looking after pastures properly have remained with me since. I don’t think it’s an overstatement to say that meeting Julia changed my outlook on textile production forever. She has since moved from Beech Hill Farm to Bodle Street Green but continues her work here. Yarn Forward magazine heard about Julia’s joined-up approach to growing and working with wool and commissioned a piece called “Sheep to Shawl” for an issue of the magazine focused on sustainability and knitting. This is a version of what I wrote; I wanted to share it with you because I think the story of Woolcraft with Wensleydale will resonate with your own work with wool. 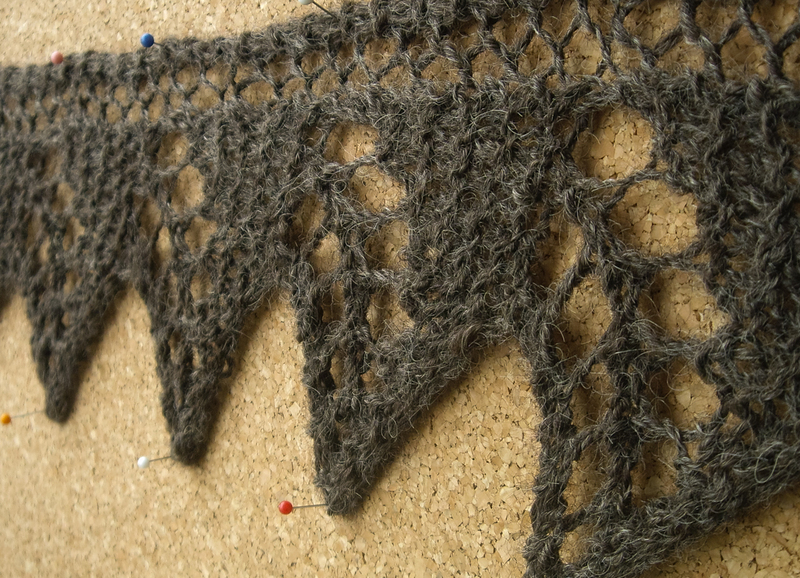 The connections between sustainability and knitting are not always immediately obvious; you might ask what does knitting a lace shawl have to do with the environment but it turns out that the answer is quite a bit, actually. How pastureland is managed, the quantity of wastage involved in the production of yarn and the miles it travels for different processes all contribute to its carbon footprint. Happily a growing number of people are exploring localised and environmentally responsible yarn-production methods. Working on a small scale means that fleeces can be processed with minimal wastage because close attention can be paid to the procedure, while forming partnerships with local spinners and spinning mills reduces the carbon miles of yarn in its journey from raw fleece to spun yarn. Julia Desch is someone whose approaches to wool production and sheep-breeding speak to these ideals. Her commitment to water and energy saving are evident all over the farm and her decisions to involve local artisans and a nearby spinning mill all reduce the miles her yarn physically travels from sheep to shawl. However as well as taking these practical steps her work also includes an inspiring programme of workshops and open days. These events engage the broader community with the whole magical process of producing gorgeous things from homegrown wool and help to connect land and wool in the minds of visitors. 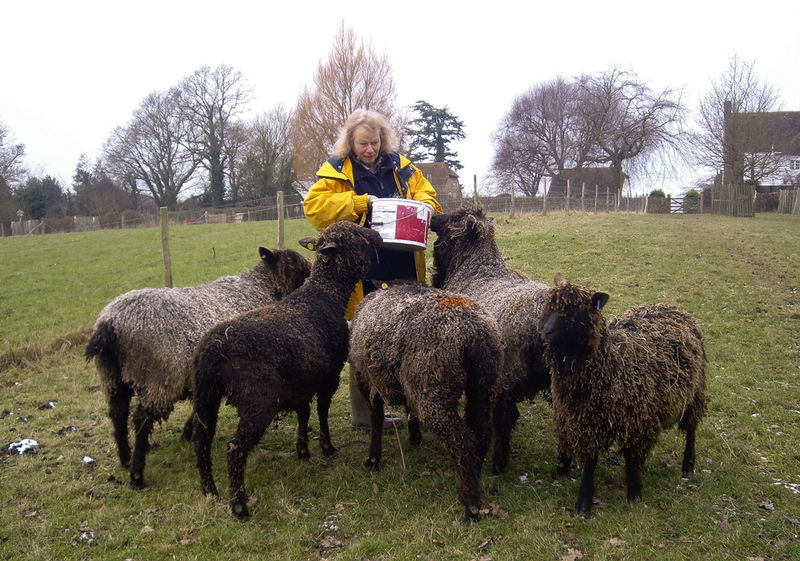 Running a smallholding in East Sussex, Julia divides her time between tending her flock of Wensleydale Sheep, organising craft and education projects with other members of the Woolcraft with Wensleydale group, and managing two Green-Tourism approved self-catering properties. 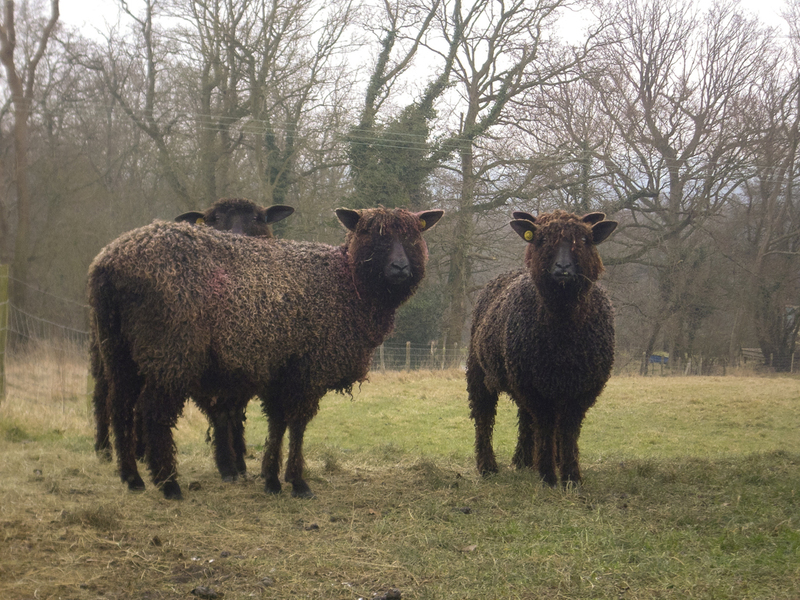 Sheep-farming, wool-related creativity, eco-tourism and responsible land management are seamlessly joined on Beech Hill Farm; the whole operation is focused on minimising waste, practising responsible animal husbandry, and developing low-impact, high-quality woollen goods. 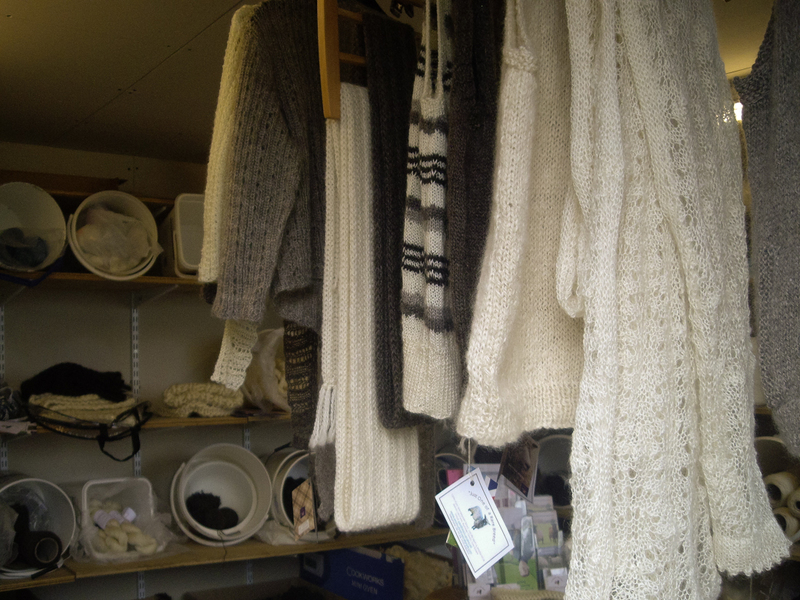 The hand knits, yarns, tops and fleece a knitter can find here are truly magical in their transparent connections to this place; on Beech Hill Farm you are reminded that wool comes from land and that you cannot care for one without caring for the other. 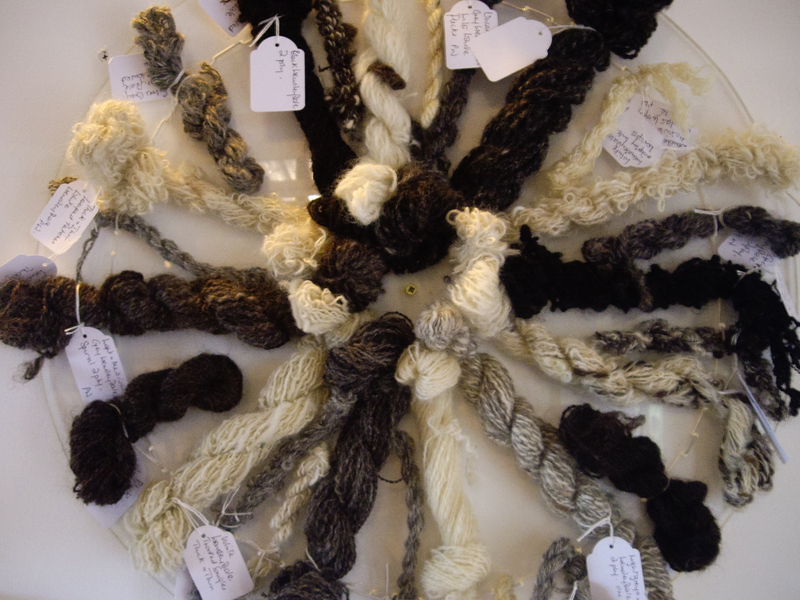 However Julia’s farm is especially exciting because as well as providing an extraordinary raw material for the knitter or handspinner, there is a wealth of knowledge here, in The Wool Room, for prospective knitters. Aptly named, this wondrous treasure trove holds the prodigious results of Julia’s work with her favourite sheep breed: Wensleydale. Inspired by the noble appearance of this breed 12 years ago at an agricultural fair, Julia has maintained a small flock since, exploring how best to use every part of the distinctive annual wool crop. Along the way she has worked closely with Vauxhall City Farm, Diamond Fibres spinning mill and a local cache of talent. One end of The Wool Room contains spinning wheels and neatly stacked piles of naturally-dyed tops, while at the other, there shelves lined with all manner of woolly joy. Dark chocolate skeins of shiny yarn nestle in baskets beside coils of pearly white pencil roving, while washed and weathered Wensleydale curls rest in buckets, carefully organised according to their colour. A wheel of hand spun skeins created by Penny Walsh and the Vauxhall City Farm Spinning group is mounted on a wall with tags noting the spinning techniques and the fibres used for each effect – research that proved invaluable while working out the details for mill spinning at Diamond Fibres. Elsewhere the skills of knitwear designer Tony Madgwick demonstrate some of the stitch-patterns best suited to the yarn. Handling samples quickly reveals that the amazing lustre and drape of worsted spun Wensleydale yarn make it well suited to beautiful open lacework. The airy halo created by those distinctive curls in the fleece mean that faggotting or eyelets trap air meaning that even a very open fabric will be warm. 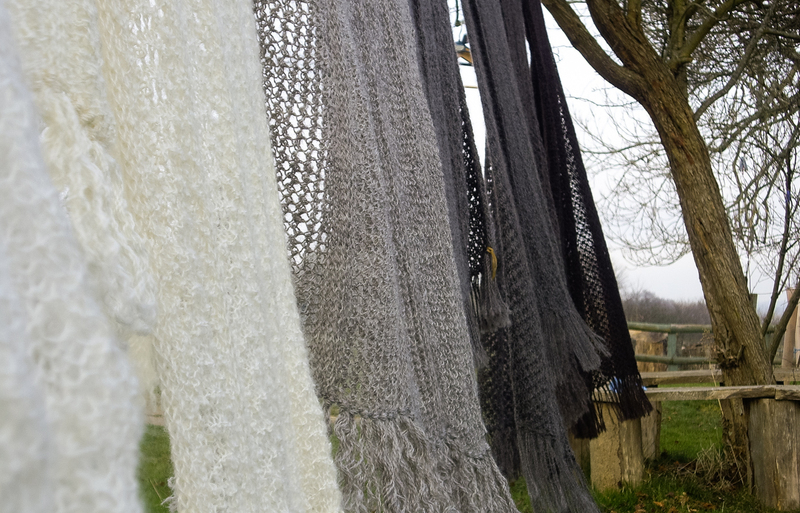 Lace is also an economical way to make a little luxury fibre go a long way. 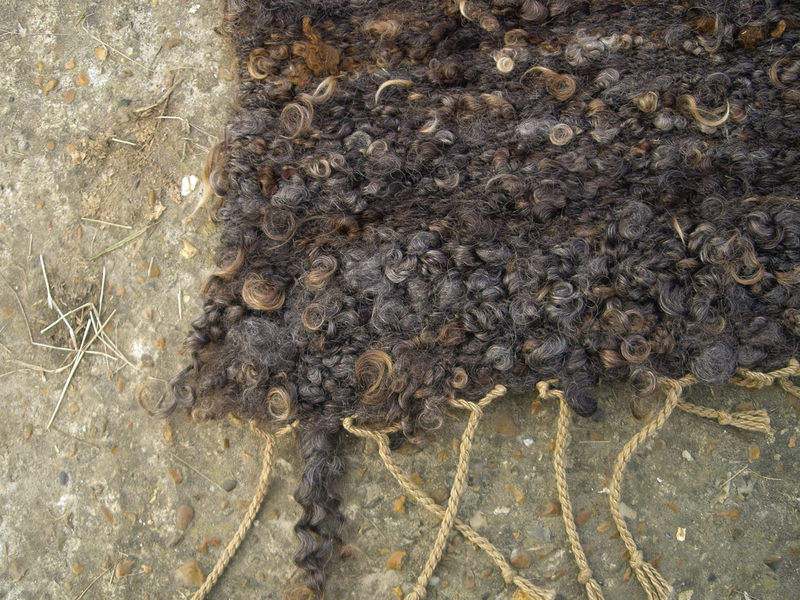 Alyson Smith – a local weaver – collaborated with Julia to develop a rug-making technique that utilises the normally discarded fleece taken from the legs, bums and tums of sheep. 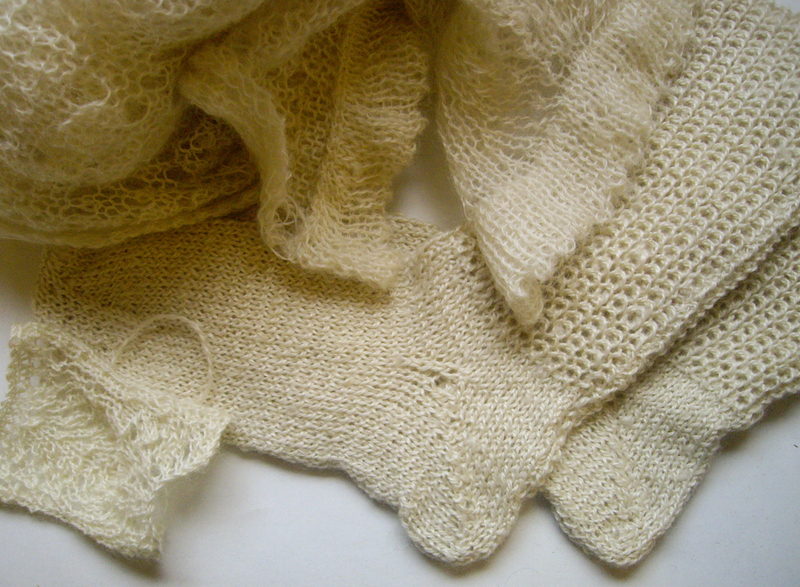 Sheila Leech’s expertise with natural dyes has helped Julia to understand the unique behaviour of Wensleydale fibres in a dyebath. 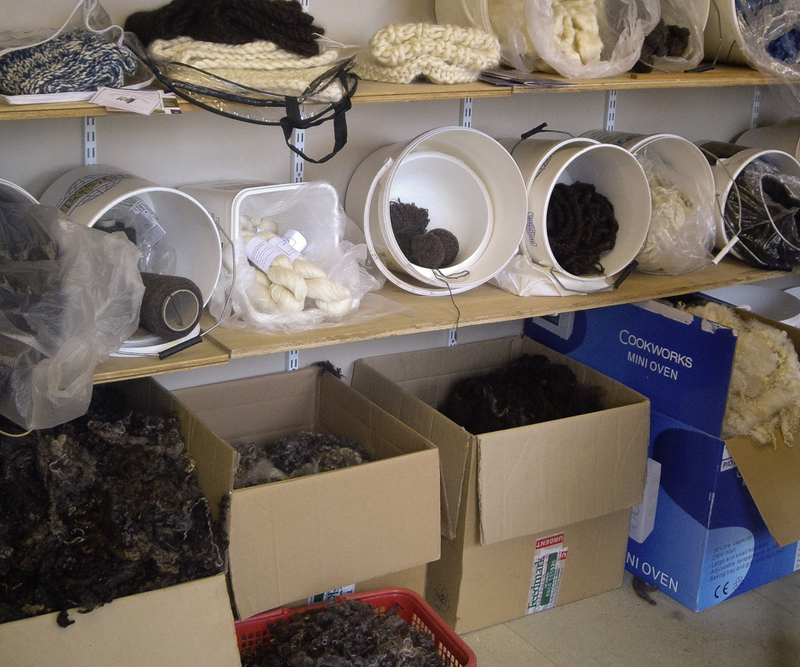 The things arranged in The Wool Room emanate a sense of careful research into the creative potentials of Wensleydale fleece, and a commitment to wasting no part of it. Viewing the work lends significance to the prospect of Julia’s sheep grazing in the fields; relationships between those grazing creatures, the curls on their backs, and the lustrous textiles become more apparent. 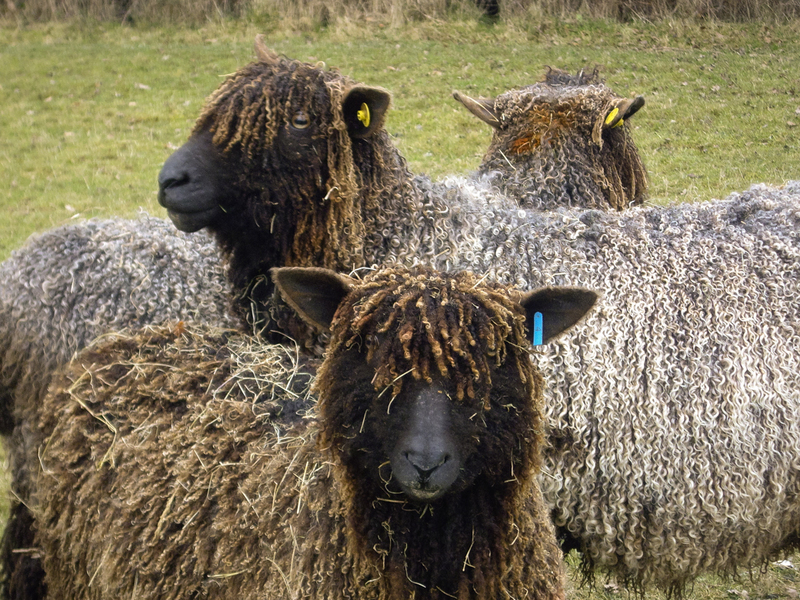 Coloured Wensleydales have dark, richly-coloured fleeces which show the effects of weathering much more dramatically than white fleeces, and the depth and shade of colour can vary from one animal to another. 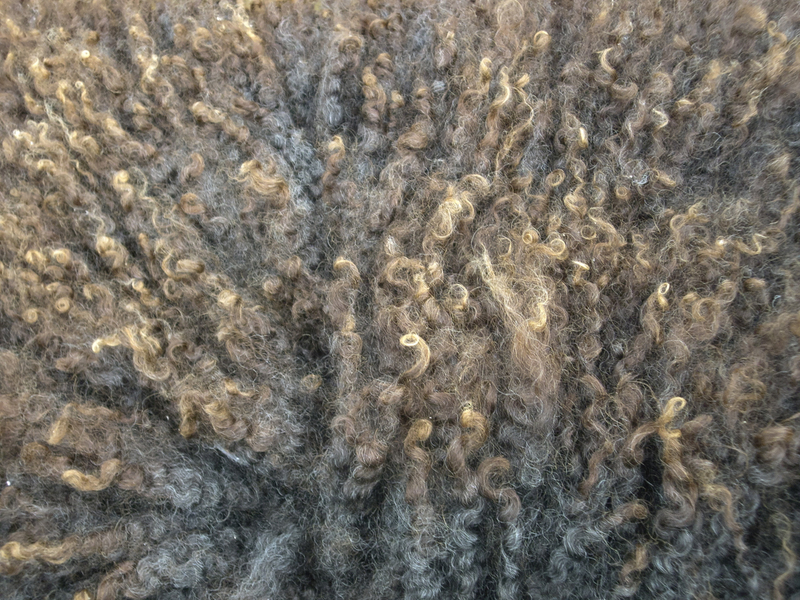 The curly tips of Wensleydale fleeces become dried by the elements and this gives them an attractive, burnished appearance. 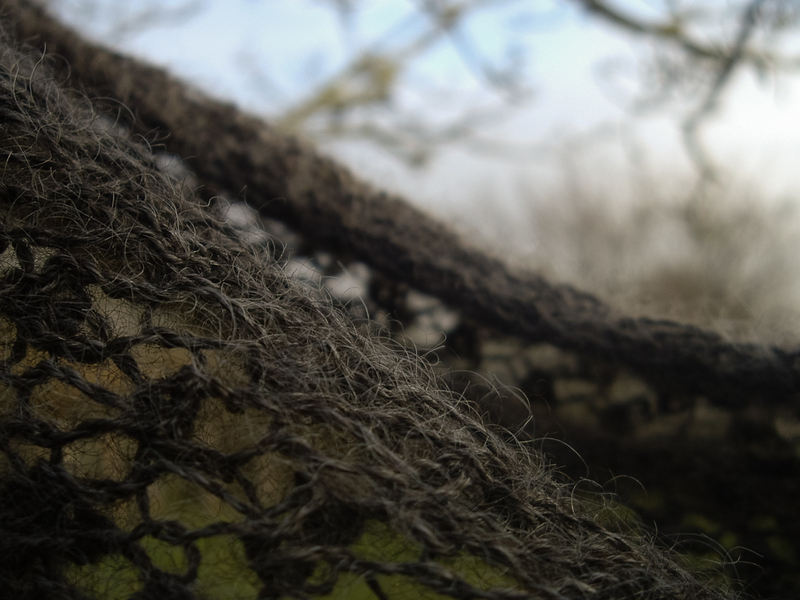 Beneath these tawny flecks you can see the shiny, dark fibres that give Wensleydale yarn its unique lustre. 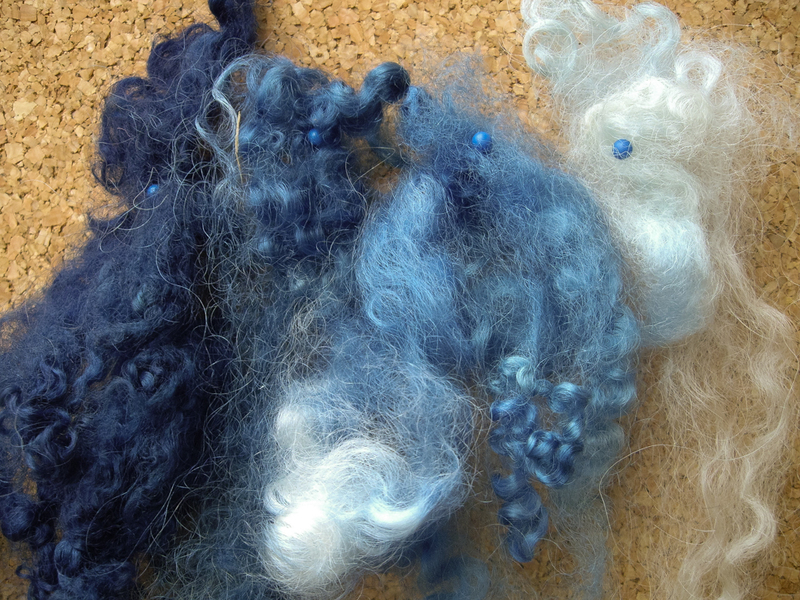 The weathered tips take up dyestuffs much more readily than the rest of the fleece and this can be used advantageously for different effects. 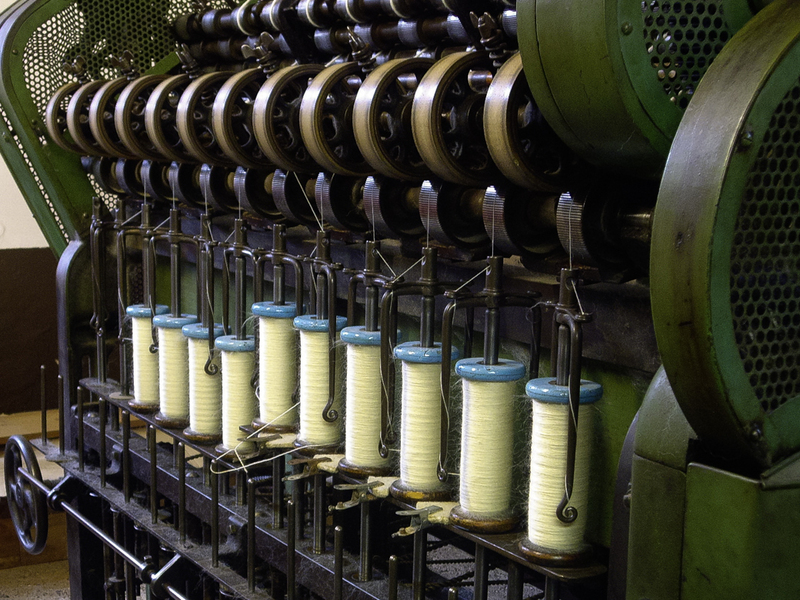 After dry or weathered parts of each fleece have been separated off, the remainder of each fleece is sent to Diamond Fibres – a small-scale spinning mill less than 5 miles away from Beech Hill Farm – to be spun into yarns and roving. 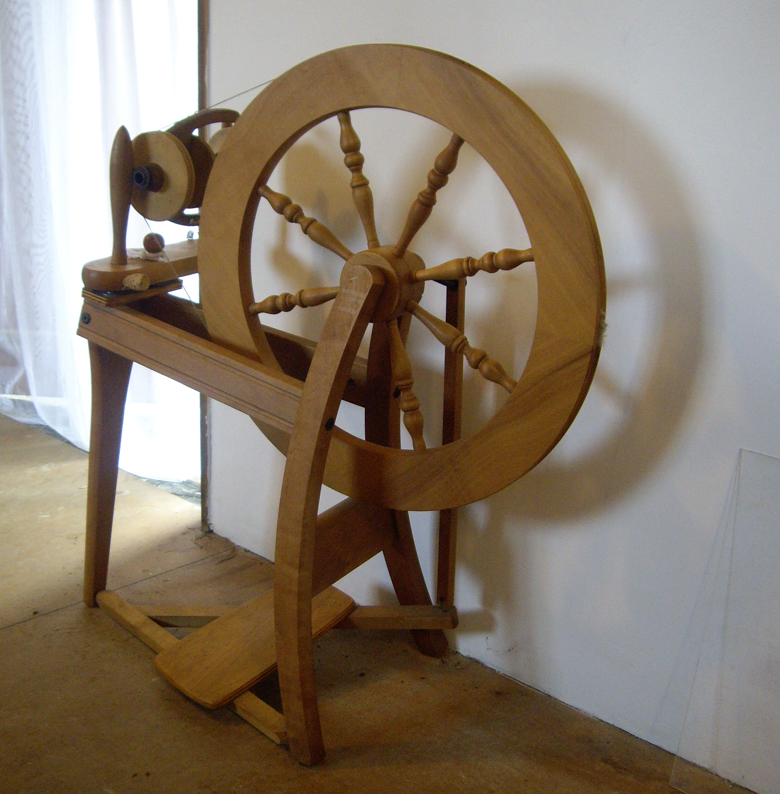 What cannot be sent to the mill is carefully washed and saved for rugs, hand-spinning and felt-making. 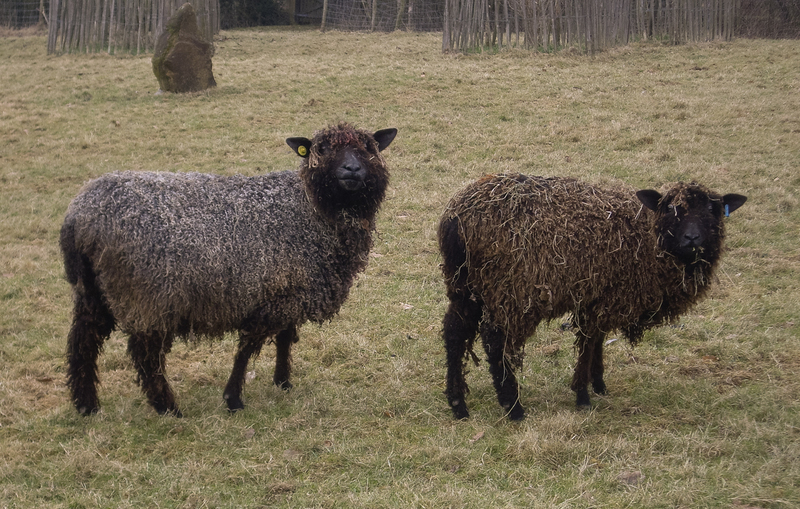 It is inspiring to watch the sheep knowing that none of their wool will be wasted, and enlightening to be able to make the connections between weather, sheep colouration, dyeing possibilities and worsted-spun yarn. If you are lucky, you may even get a glimpse of the silver-grey Ram who lives on the farm and whose rare, silver pigmentation is something of a gift, since it can’t be planned for in the sheep breeding. 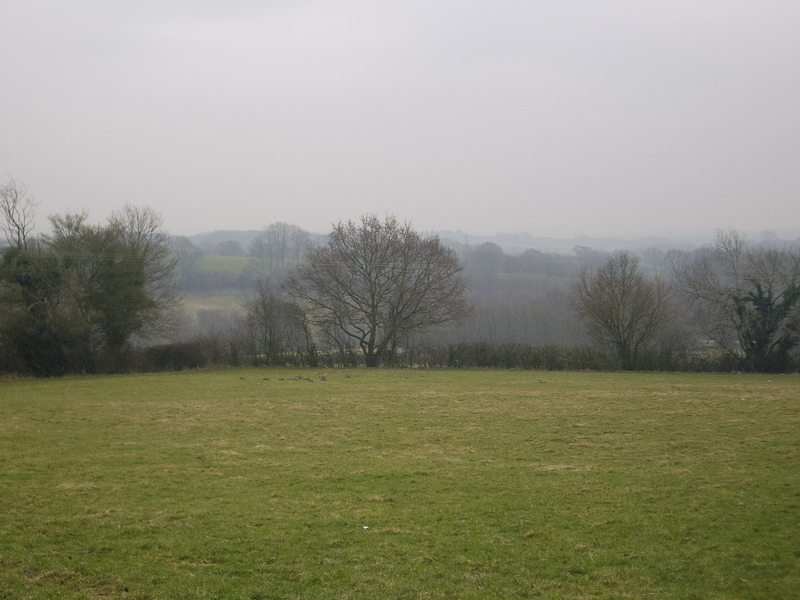 A walk through the surrounding landscape of the High Weald is full of sensory inspiration for the knitter. Julia keeps a good set of maps so it is always possible to find nearby footpaths taking ideas for stitch-patterns or knitwear designs from the textures and shapes in the surrounding environment. 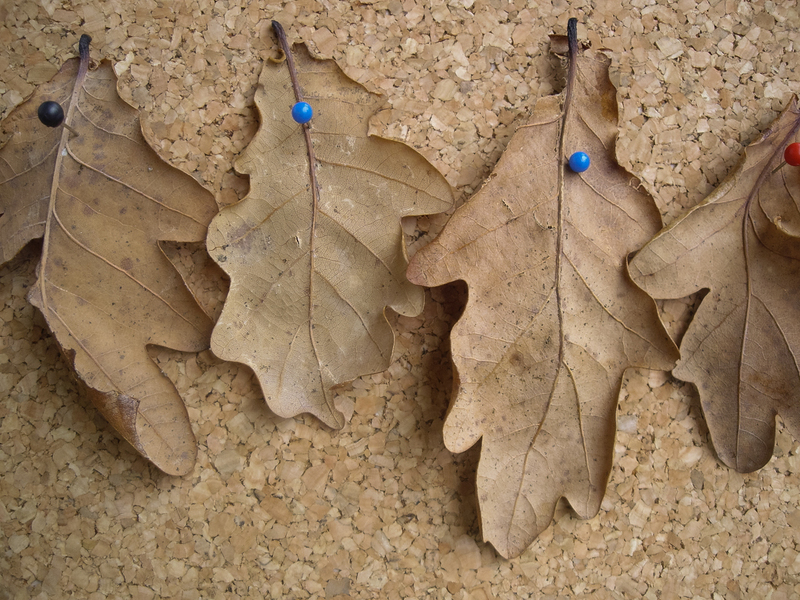 From observing the leaves lining the road between Beech Hill Farm and Rushlake Green to noticing the shape of frosty crystals on the grass, there are ideas for colour and shape everywhere. 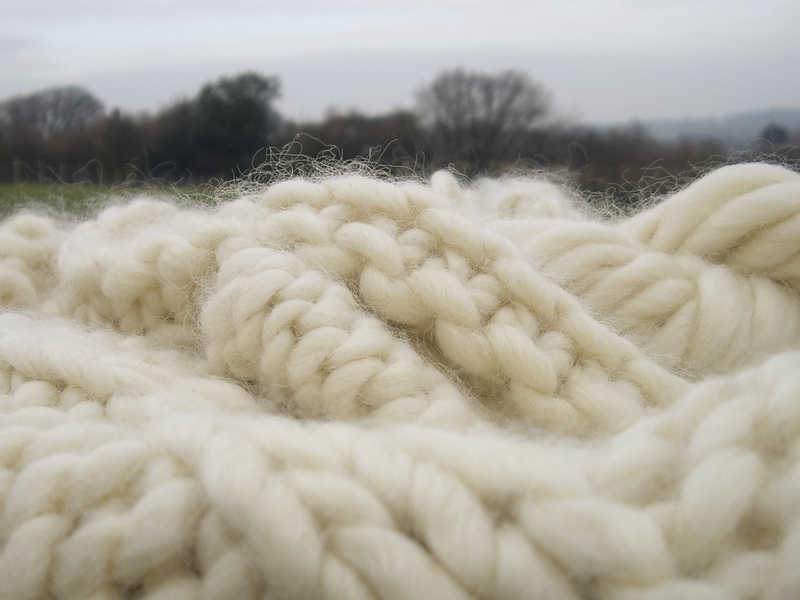 Once you’ve seen the mill and the sheep and walked around the High Weald, you can return to The Studio or The Coach House to knit with the wool you’ve acquired on the way. The rain-harvesting system in place on the farm coupled with the compost bin, water-saving features and commitment to using environmentally friendly products means that you can stay there knowing that you are having a minimal impact on the landscape where your wool is grown. And if all that doesn’t positively inspire your knitting, then the sight of the sheep in the pastures beyond surely will. With thanks to Yarn Forward magazine for commissioning this piece and to Julia for letting me hang all her beautiful Wensleydale shawls off trees in an effort to capture their magic in my photographs!